In an effort to keep the pledge I made to myself to update my website on a regular basis, I'd like to share a recent event in my life that humbles me and touches my heart.I live in a wonderful community filled with amazingly generous and talented people. New Bern is blessed with beautiful amenities and small town charm, but it's the people that make it so special. Several years ago, Craven Community College initiated an effort to recognize local leaders who unselfishly help make New Bern a terrific place to live, work and play. Awards for individual leadership, corporate leadership and and education were presented at a luncheon this week attended by approximately 550 people. I was both surprised and delighted to receive the award for outstanding individual leadership. What an honor! While I am in good company with others who've received the award, I recognize that there are many others in my community who are also worthy of such recognition. So, on behalf of all of us, I humbly accepted the award. Making it even more worthwhile are the countless gestures from family and friends who have generously reached out in loving and thoughtful ways to make me feel special. I am grateful for my 3 wonderful daughters, other close family members and dear friends who have added so much to this special time in my life. I am appreciative beyond words and will try to live up to your confidence in me. While next week will bring new opportunities and challenges, I will treasure the memory of this special time in my life with heartfelt gratitude. I just revisited my website. Finally. How embarrassing to be so outdated. Like the cobbler that has no shoes, I've been a PR professional that works with clients and sadly neglects her own business. So my belated New Year's resolution is to try to keep this site current with timely, relevant content. Fingers crossed. Thanks for your patience and have a great April! 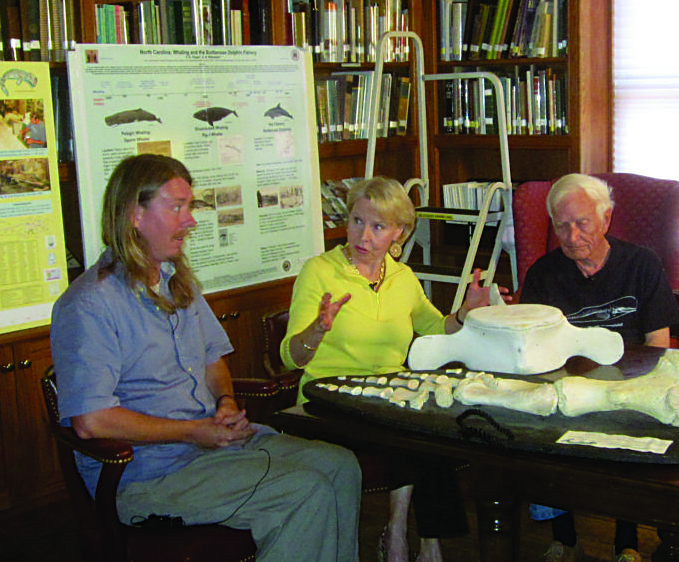 Sneak Peak at the "Bonehenge Interview"
The Bonehenge interview at the NC Maritime Museum, in Beaufort, NC.